Email is the top threat vector for ransomware and other advanced threats. You need to ensure that your business data and users are protected from advanced and constantly evolving security threats. 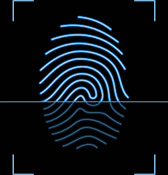 This requires a layer of security beyond the standard Exchange Online Protection (EOP). Barracuda offers two cloud-based services that protect all your business email in Office 365 with zero impact on email performance. Barracuda Essentials for Office 365 is a comprehensive email security suite that filters every inbound and outbound email to stop spam, viruses, data leaks, and malware. Barracuda Sentinel goes a step further to use an AI engine to inspect all the emails already in your in box to block against impersonation-based fraud such as phishing. Together, they provide the industry’s best and most cost-effective protection for Office 365 users. Protect all your emails and data running in Office 365. Barracuda Essentials and Sentinel provide the industry’s most comprehensive security and data protection solution for Office 365. Barracuda lets you quickly protect your business and customers from the most sophisticated and cyber-threats. Our award-winning spam filtering keeps your employees productive. Our cloud-to-cloud backup even protects you against accidental or intentional deletion of emails by employees. Barracuda Essentials for Office 365 stops spam, viruses, and known malware using signature-matching that leverages Barracuda’s vast global threat intelligence system, which gathers real-time threat data from millions of collection points around the world. It also includes a subscription to Barracuda Advanced Threat Protection—a cloud-based service that uses a multilayered architecture with a CPU-emulation sandbox to detect and block new (zero-day) and advanced, evasive threats before they touch your deployment. Outbound email filtering protects sensitive data against accidental or deliberate leaking. You can define keywords to look for, along with specific types of data (social-security and credit-card numbers, for example). And if your users have inadvertently allowed their systems to be used for botnet spam, Essentials ensures that outgoing spam and viruses are blocked. Sensitive emails can be manually marked for encryption, or you can set up rules to automatically encrypt emails based on the sender, content, and other criteria. Your Office 365 emails are sent to the Barracuda Message Center for 256-bit encryption in the cloud. They remain encrypted via Transport Layer Security (TLS) until they reach the intended recipients. The email files stored in your Office 365 environment almost certainly include latent threats—malicious URLs and attachments that are just waiting for a single distracted click to launch an attack on your network. Given the volume and variety of threat-bearing emails, it’s not realistic to consider a manual approach to finding and deleting them all. 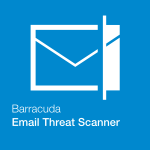 The Barracuda Email Threat Scanner is a cloud-based service available to anyone, at no charge. It scans your Office 365 email folders using advanced analytic techniques. It then delivers a report that details all the latent threats, including risk levels, affected users, and more. The information not only lets you clear out the latent threats in your environment; it also gives you the insights you need to adjust or improve your email security policies and strategies to reduce the chance of more malicious email getting into your system. The most sophisticated email-based attacks are the ones that personal. Attackers convincingly impersonate legitimate businesses, colleagues and even customers to obtain sensitive data and money. 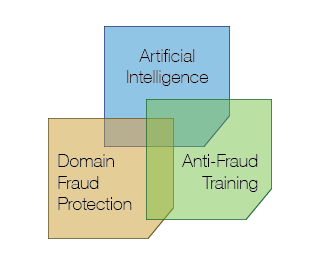 Barracuda Sentinel uses artificial intelligence engine to add real-time defense from email-based fraud. 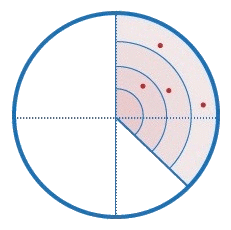 Barracuda Sentinel automatically learns the unique communication patterns of each individual organization. It uses this knowledge to find anomalous signals in the attributes of the incoming message's metadata and content. It also adds DMARC (Domain-Based Message Authentication Reporting & Conformance) to track potentially sensitive emails being sent from your organization. Phishing attacks are more convincing than ever, and they can be difficult to spot. To complicate matters, the attackers are targeting unsecured personal mail accounts more than ever. As a last line of defense, employees need to get better at spotting socially engineered spear phishing attacks. 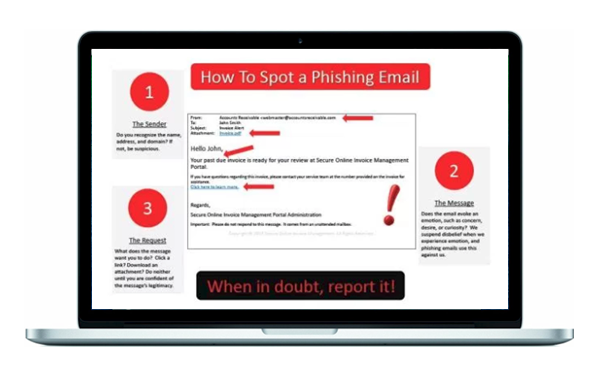 Barracuda PhishLine provides leading-edge user awareness training to counter sophisticated phishing and socially engineered spear phishing attacks. PhishLine helps your users sharpen their anti-phishing skills with advanced phishing simulations along with end-user testing, reporting, and comprehensive metrics that let you take prompt and meaningful action against threats.